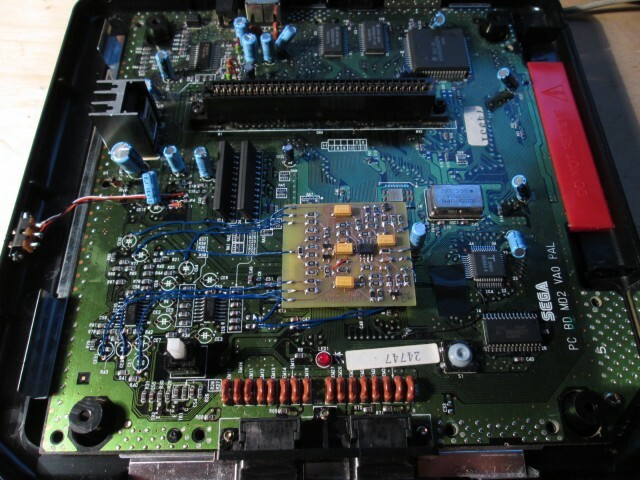 This is the "Crystal Clear Audio Mod" for the Mega Drive (aka CCAM). You may have heard of this mod before. You can get the boards here. This is what it looks like wired up (just the blue wires).